STORM continues a work on creating the version 1.0 of the VR Safety and Security Simulator. You are here: 100rmsim.com / News / STORM continues a work on creating the version 1.0 of the VR Safety and Security Simulator. 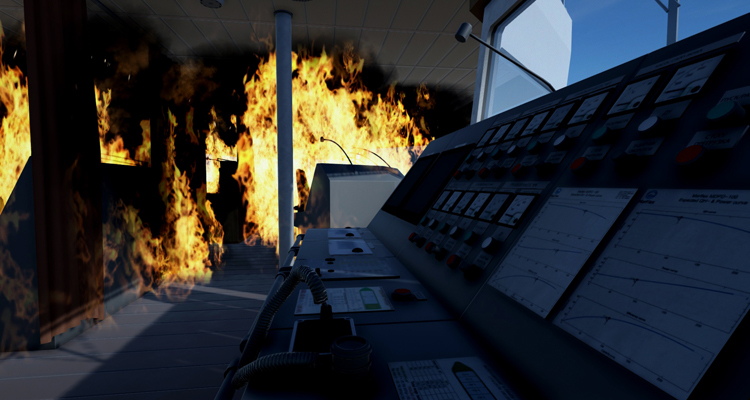 STORM continues a work on creating the version 1.0 of the VR Safety and Security Simulator (SaS), which is intended for training officers in advanced firefighting in accordance with Section A-VI/3 of STCW Code requirements. 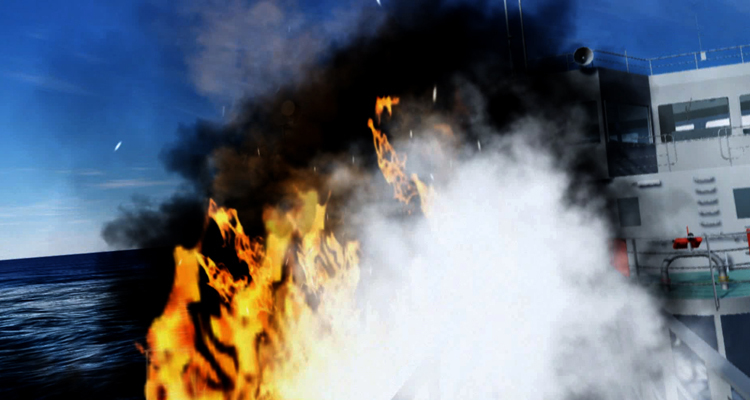 Virtual Reality (VR) technology is being realized in the SaS Simulator to provide the ultimate realism. The results of the completed stage of software development will allow making new models of vessel’s compartments, imitators of fire detection and extinguishing systems and equipment, fire alarm systems, ship communication equipment, models of fire classes.